Samples of scientific and educational diagrams, vector illustrations and mind maps on biology and biochemistry are created with ConceptDraw DIAGRAM v12 diagramming and vector drawing software and ConceptDraw MINDMAP v10 mind mapping software enhanced with Education solution from ConceptDraw Solution Park. Microbiological diagram sample: Aerobic respiration in E. coli. Biology solution from ConceptDraw Solution Park. Biochemical diagram sample: Cell signaling: cAMP-dependent pathway. Biochemical diagram sample: Citric acid cycle. Microbiological and biochemical diagram sample: Peptidoglycan structure. Microbiological diagram sample: Flagellum of gram-positive bacteria. Microbiological diagram sample: Bacterial cytoplasmic membrane. Microbiological diagram sample: Bacterial endospore formation. Microbiological diagram sample: Flagellum of gram-negative bacteria. Microbiological educational diagram sample: Cell envelope of gram-positive bacteria. Microbiological diagram sample: Gram-positive bacteria. Microbiological educational diagram sample: Cell envelope of gram-negative bacteria. Microbiological educational diagram sample: Bacteria transformation with plasmid DNA. Microbiological diagram sample: Bacterial transformation with DNA fragments. 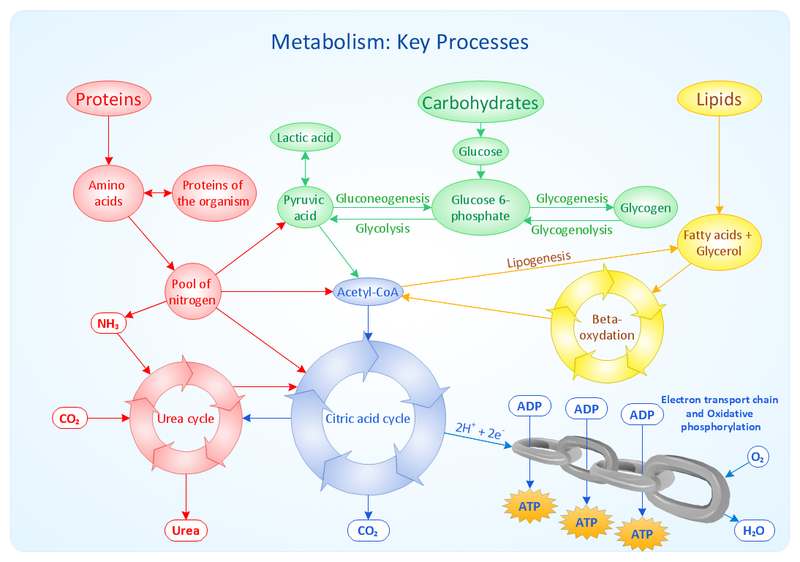 Metabolic pathway map sample: Metabolism: Key processes. Microbiological diagram sample: Chemotaxis in E. coli. Microbiological educational diagram sample: DNA replication in bacteria. Microbiological educational diagram sample: Bacterial conjugation with DNA fragment. Microbiological diagram sample: Bacterial conjugation with F-plasmid. including part of bacterial chromosome. Biological educational mindmap sample: Human genome epidemiology. 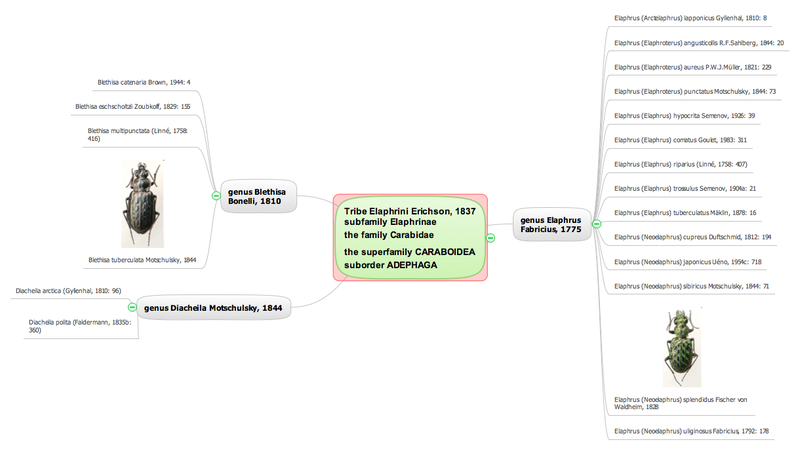 Mindmap sample: The Variation of Animals and Plants Under Domestication by Charles Darwin. 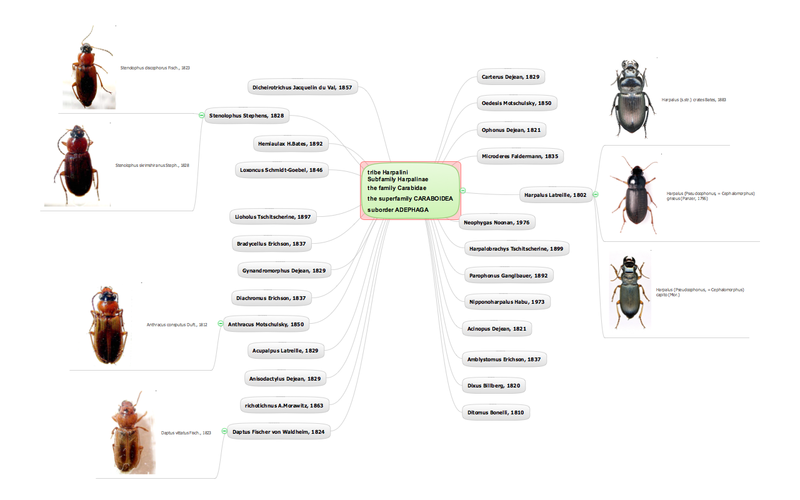 Sample 23: Mind map — Bugs. Suborder Polyphaga. Superfamily Staphylinoidea. Family Leiodidae. Biological mindmap sample: Bugs. Suborder Polyphaga. Superfamily Staphylinoidea. Family Leiodidae. Biological mindmap sample: Bugs. Subfamily Carabinae. 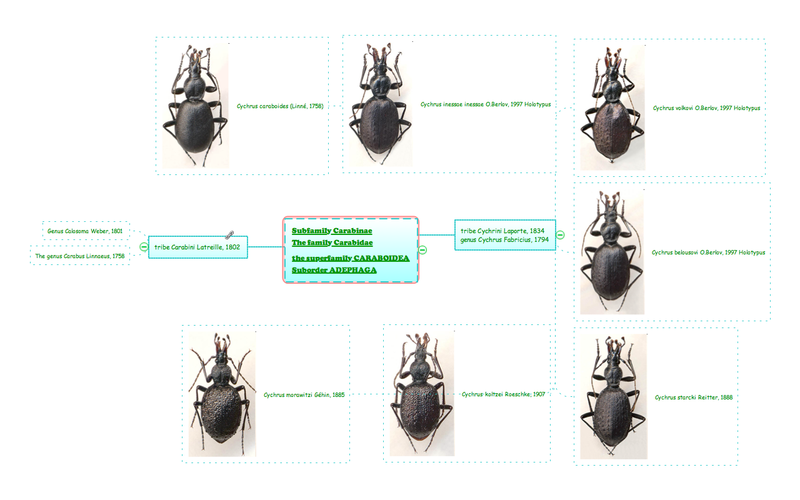 The Genus Carabus Linnaeus. Sample 25: Mind map — Bugs. The family Carabidae. Subfamily Scaritinae. Biological mindmap sample: Bugs. The family Carabidae. Subfamily Scaritinae. Biological mindmap sample: Bugs. Suborder Adephaga. 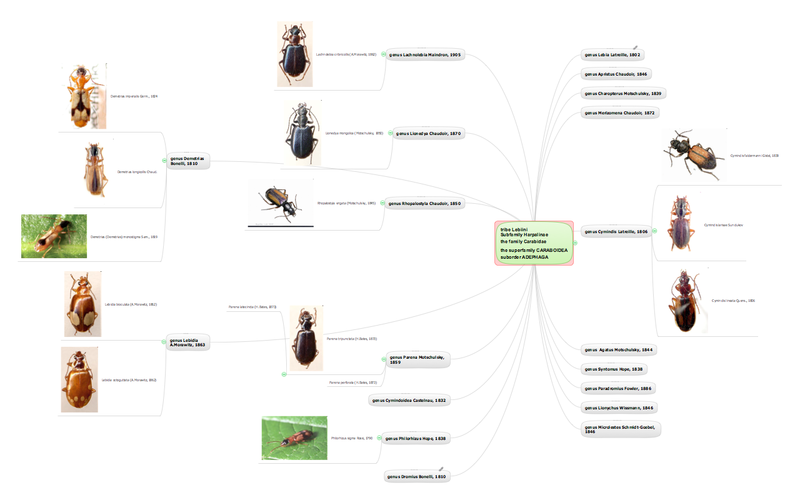 Sample 27: Mind map — Bugs. Subfamily Elaphrinae. Tribe Elaphrini Erichson. Mindmap sample: Bugs. Subfamily Elaphrinae. Tribe Elaphrini Erichson. Sample 28: Mind map: Bugs. Subfamily Harpalinae. Tribe Lebiini. Mindmap sample: Bugs. Subfamily Harpalinae. Tribe Lebiini. Sample 29: Mind map — Bugs. Subfamily Harpalinae. Tribe Harpalini. Mindmap sample: Bugs. Subfamily Harpalinae. Tribe Harpalini. Mindmap sample: Bugs. Subfamily Carabinae.